whats-nü is an online design and curation studio highlighting clothing and accessories for work & play. We especially enjoy promoting brands that are designed and made in the USA. 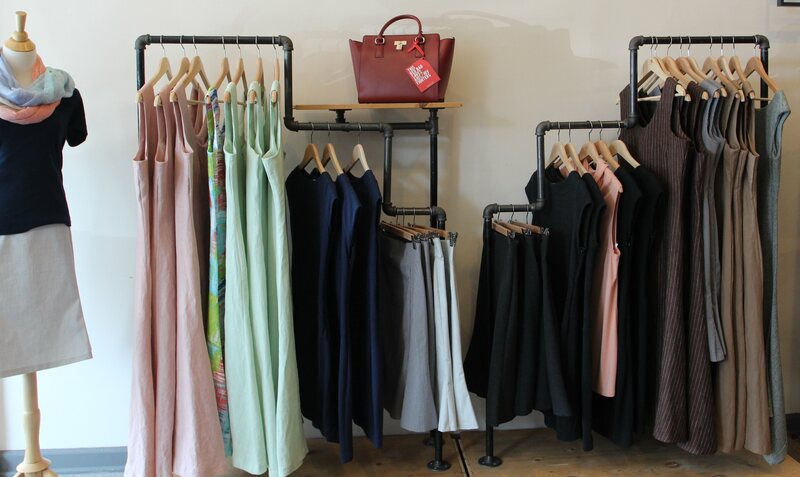 Locally-owned, curated and run by a fashion designer, who also has her line (AlenA Designs) produced in Massachusetts. Although we have recently closed our brick-and-mortar location at 67 Holland St. Somerville, MA 02144, you can still find us online - shop our favorite local brands!